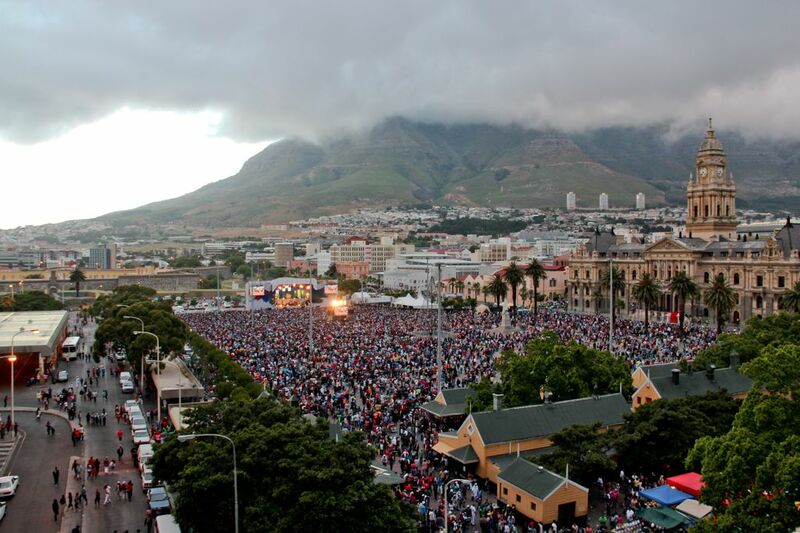 More than 120,000 people thronged Cape Town’s Grand Parade, and another 40,000 lined the city’s sidewalks, as the procession with the New7Wonders float and the New7Wonders bus carrying New7Wonders dignitaries and the delegates representing the New7Wonders of Nature sites passed by. 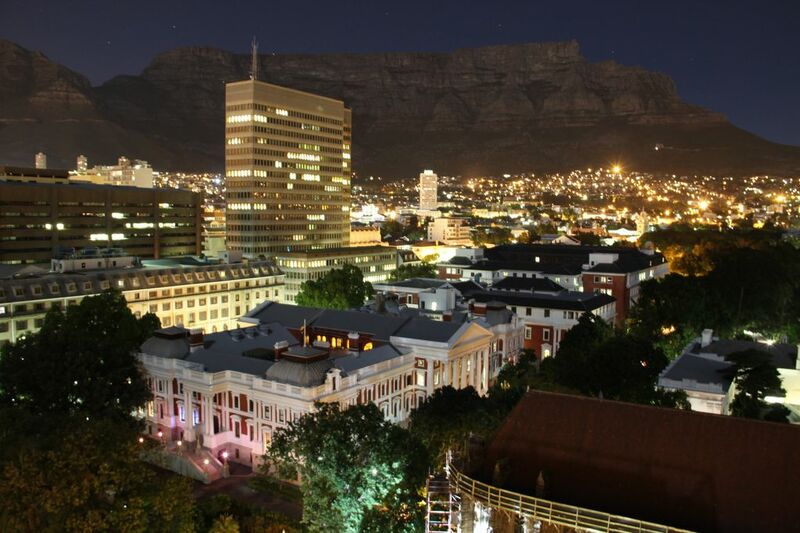 Table Mountain, freshly inaugurated as one of the New7Wonders of Nature, provides a spectacular nighttime backdrop for Cape Town, one of the most picturesque cities in the world. 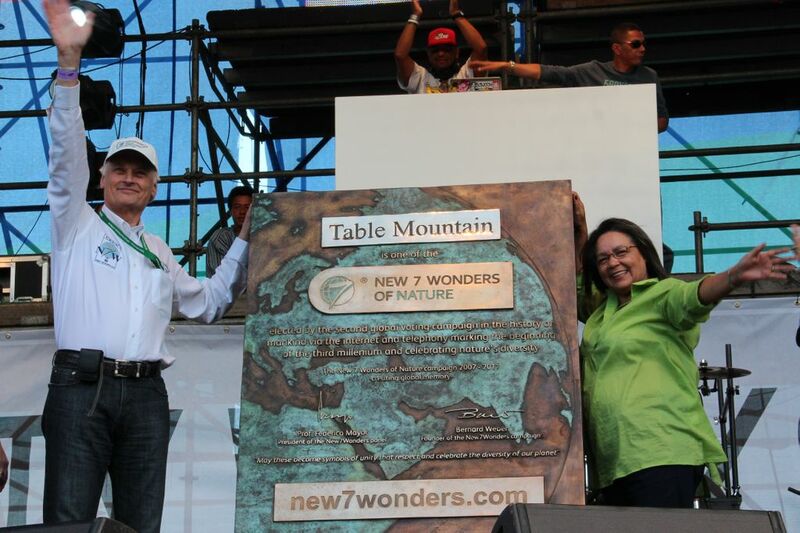 Bernard Weber, Founder-President of New7Wonders (left), and Patricia de Lille, Executive Mayor of Cape Town (right), with the unveiled Table Mountain memorial plaque.